Exercise in Spacial Orientation. 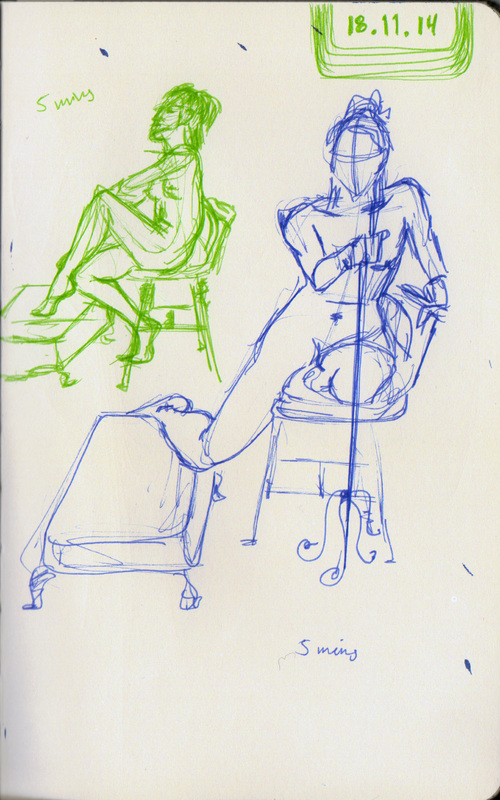 Same model – 3 different 15 minute poses in the same space. Put down lines with intention – especially paying attention to the thickness of the outline. Heavy contours can reduce the volume and 3D illusion of the body. 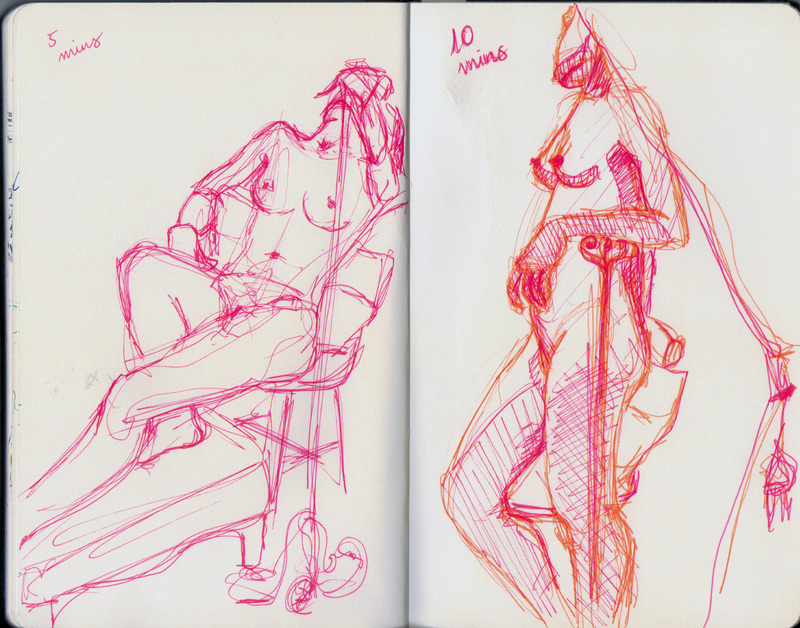 Week Three of Shoreditch Figure Drawing.